Halloween is this weekend, which means Thanksgiving is around the corner and Christmas is like a month away. I might be rushing things a little, but don't these holidays just sneak up on us so quickly? Just in time for the Thanksgiving and Christmas holidays-Julie Harrison, landscape designer and WFSB’s Garden Guru on Better Connecticut, will demonstrate creative decorating ideas for the home and garden. Everything from exterior entryways to mantles and tabletops, Julie will offer fresh ideas using materials in unique ways. Call your friends and sign up for a fun night out while learning new holiday decorating ideas! Instructor: Julie Harrison -Registration closes on November 2nd and/or earlier if enrollment reaches maximum capacity. Spring Flowering Bulb Class- Don't Miss This One! On a beautiful October day in New England, you might be captivated by a kaleidoscope of fall foliage, crisp air and warm sun. The thought of spring flowering bulbs like Tulips, Daffodils and Hyacinths has been filed away for a few months. Unless you are a gardener. 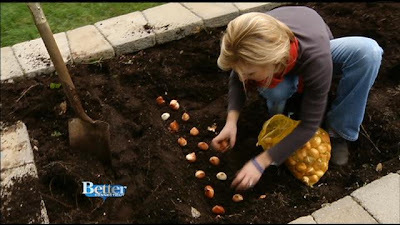 In which case planting and dividing these bulbs are on your to-do list, right now! 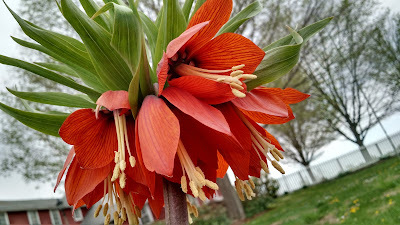 The beauty that these spring blooms bring starts with planting them in fall. I'm offering a class all about it on October 21, 2015. "Julie Harrison, landscape designer and WFSB’s Garden Guru on Better Connecticut will discuss different types of spring flowering bulbs, planting times and methods. Tired of deer eating your tulips? 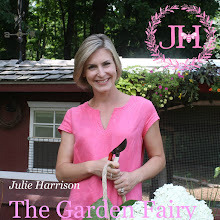 Julie’s got great alternatives and tricks to have beautiful blooms in the spring garden and she’s sharing them all!" Please visit my website to sign up for this event. It's going to be fun, informative and I promise a very generous giveaway! Click HERE to sign up!